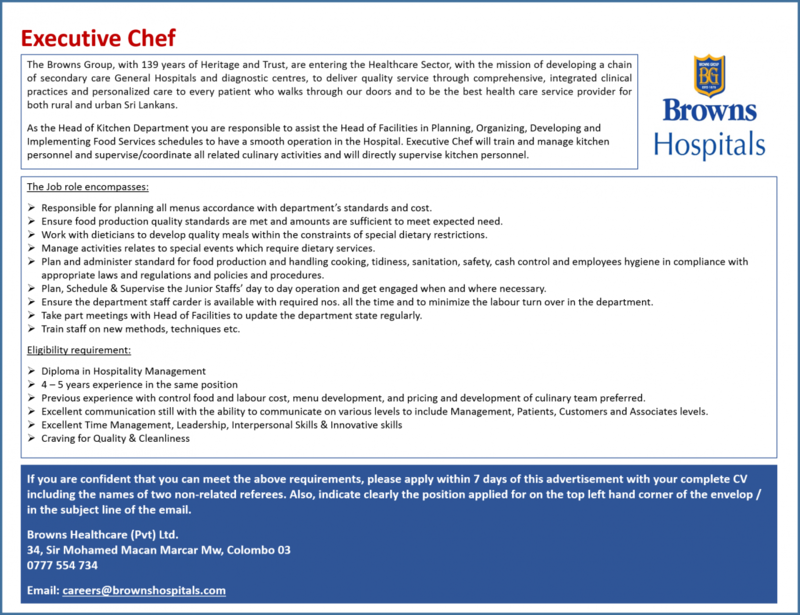 Executive Chef for Browns Hospitals - Ragama. As the Head of Kitchen Department you are responsible to assist the Head of Facilities in Planning, Organizing, Developing and Implementing Food Services schedules to have a smooth operation in the Hospital. Executive Chef will train and manage kitchen personnel and supervise/coordinate all related culinary activities and will directly supervise kitchen personnel.